Picture: GLORIA II invited HC Wu, the general manager of ASUS Life, to present the new opportunities of smart and precision medicine (in the center) with Monica Bey CEO of the Industry and Faculty Administration Center on the left and JC Hsieh, Vice President, on the right. With society undeniably aging, various digital technologies have become part of the healthcare industry, subsequently giving rise to a number of smart applications. Therefore, the key to being a future healthcare leader relies on seizing opportunities with information technology in a sound way. Given that, National Yang Ming University Business Center of Industry-Academia Liaison Serial Events of Bio-navigator -- Corporate Keynote Speech (12/6) invited HC Wu, the general manager of ASUS Life, who is committed to initiatives for the development of smart medicine, to present the four hottest topics at the moment. 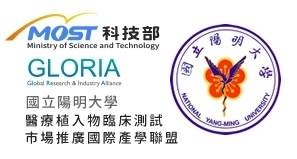 Hopefully, ASUS Life’s experience in promoting strategic policies in such a domain will enable faculty members and students dedicated to related R&D at National Yang-Ming University to thrive towards a precision approach and identify mutual engagement opportunities in the healthcare industry as the top runner. Picture: As mentioned by HC Wu, the general manager of ASUS Life, he bonded profoundly with National Yang-Ming University. To cope with the demand for digital transformation in the healthcare industry, ASUS engaged in smart medicine in 2016 in association with Show Chwan Hospital in order to launch ASUS Life through a joint venture as an integrator responsible for fundamental software and hardware development and advanced cloud data analytics. According to Wu, smart medicine not only helps build smart hospitals for commercial purposes but also significantly impacts precision medicine. In light of the digital wave of Virtual Assistants, IoMT, Big Data, and AI, ASUS Life focuses on individualized precision medicine with the active launching of one-of-a-kind products and services. To handle eldercare needs in the near future, ASUS has collaborated with IBM Watson to introduce Zenbo, the smart robot for hospitals, as the best actualization of developing a Virtual Assistant. With regard to IoMT, in order to increase the opportunities for the innovative medical equipment industry to cooperate with hospitals, OmniCare, the smart medical equipment sharing platform founded by ASUS, can serve as a unique ecology for IoMT. Wu hopes that ASUS will play the motherboard role responsible for the uniform merchandising of medical equipment at various ends to hospitals via the single connection and integration thereof in order to speed up mutual matching and expansion. Through the aggressive use of bid data analytics, the healthcare industry expects to find optimal therapeutic approaches and the cause of diseases. Wu also found it necessary to develop precision medicine with robust data fundamentals, so ASUS has connected with various hospitals to form a network that helps hospitals connect with the international clinical trials industry via PhenoFinder, the distributed medical data application platform. Furthermore, ASUS is cooperating with the National Health Insurance Administration’s plans to launch a health data bank. The next step is to integrate genomics and metabolomics data. With an opportunity to collaborate with National Yang-Ming University and the abundant resources given to ASUS, the foregoing may actually become a reality. Finally, as Wu emphasized, interdisciplinary cooperation (crossover) is vital. Applications can outsmart competitors at a similar technical level. Taking TAIWANIA 2, the AI supercomputer as an example, he expressly pointed out that the industry cannot thrive alone without endeavors to work with faculties in the future, and the last mile to AI development is Democratizing AI for AI popularization. Picture: The last remarks given by JC Hsieh Vice President anticipated that crossovers across industry, faculty, and medicine geographically related to Beitou and Guangdu may be key for employing smart medicine integration more effectively to promote community services. Picture: UC Yang, and associate professor of the Institute of BioMedical Informatics (on the left) expressed his doubt about PhenoFinder verification; LC Lin, the general manager of the Continuing Education Center (on the right), asked about how ASUS got started in the smart medicine field.